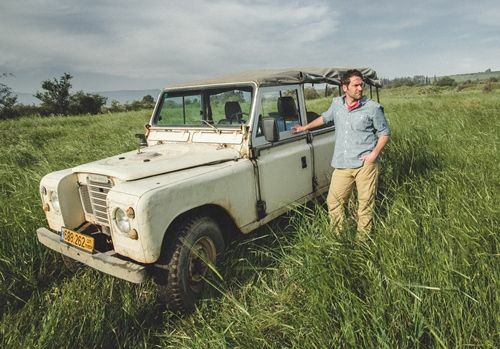 Have you ever wanted to go to Isreal and walk in the footstep of Jesus? I know I have! If you are like me, this trip is just not going to happen anytime soon. However, what if I told you it is possible to walk in Jesus’s footsteps without even having to leave your home? 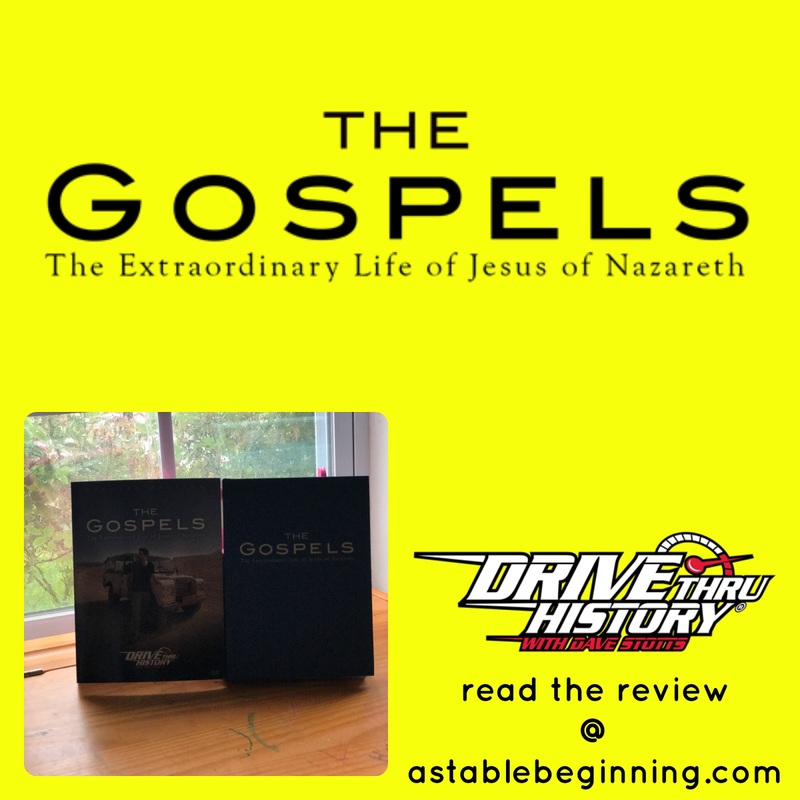 It’s possible when you watch the awesome new 18-part miniseries from Drive Thru History® called Drive Thru History® - “The Gospels”. Drive Thru History is a fast-paced, content-rich history experience that takes you on a fun adventure through ancient civilizations and the Holy Land, all the while experiencing you are plugged right into the events that shaped the world and the Christian faith. From the people, places, and events, our host, Dave Stotts, helps make you feel as if you are right there as it happened. For this review we received the newest series of episodes that tell the story of Jesus form the locations as recorded in Matthew, Mark, Luke, and John. 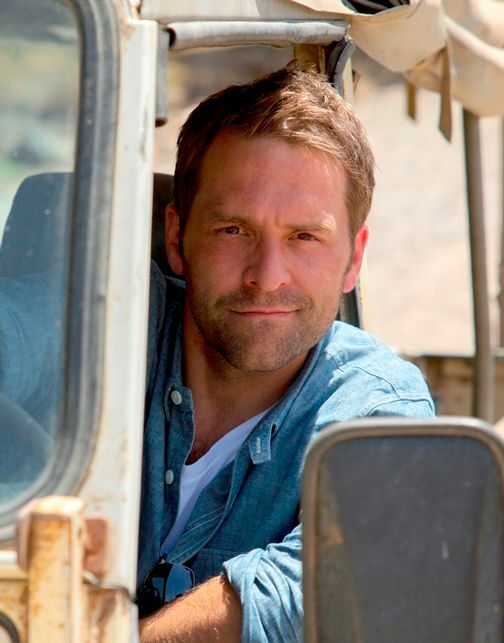 Over the course of the 18 episodes, Dave travels to over 50 historical sites in Israel showing us all of its beauty and evidence from history, archaeology, and geography detailing the birth, ministry, death, and resurrection of Jesus Christ. 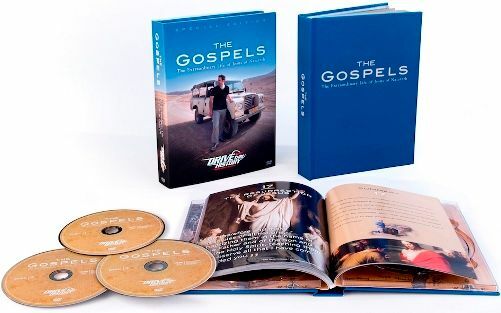 The Drive Thru History - The Gospels comes packaged in a hard cover book-like case. Inside you will find the three DVDs, two in the front cover and the third disk set inside the back cover. The hard cover book contains a full color study guide book that includes scripture readings and discussions questions. The full color photographs are amazing! Some photographs are two page spreads while others are just on one page. Episode titles include the following on each disc. 13. Jesus Arrives in Jerusalem 14. The Last Supper 15. The Trail of Jesus 16. The Crucifixion of Jesus 17. The Resurrection of Jesus 18. Who is Jesus? I love that these DVD’s arrived at my doorstep right before Easter. One weeknight I sat and watched the complete first DVD, episodes 1-6. Each episodes is about 1/2 hour long but after watching the first one I was hooked and wanted to watch more and more! Over the course of the next week and a half I rewatched the first disc with my children aged 16, 14, 10, 7, and 2. I love that I was able to pop the disc in the player and we could use the study guide to discuss what we had seen and learned with the discussion questions. I have had the chance to watch all the episodes of this series and go through the discussion questions on my own and I can tell you that I LOVE it! Being able to see where Jesus walked and taught is fascinating! 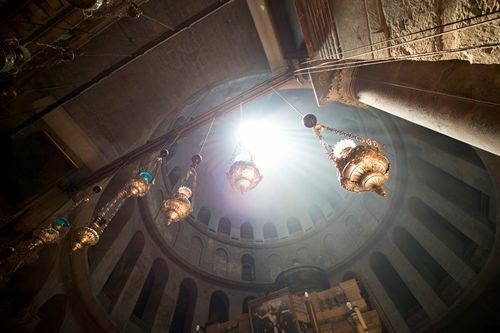 I may not make it to Israel in the next few years but being able to watch this captivating series helps me experience the actual places where Jesus lived and breathed without leaving the comfort of my home. Be sure to check out what my CrewMates thought of Drive Thru History by clicking the banner below.